Zorawar Kalra’s latest venture, this modern freestyle bar and kitchen in Lower Parel described as ‘cuisine agnostic’ is the right place to experience a gastronomic feast for the senses. The cutting-edge industrial decor features 40 tons of natural stone specially excavated from the mines of Rajasthan, along with well-balanced wood, iron, chrome and steel accents. 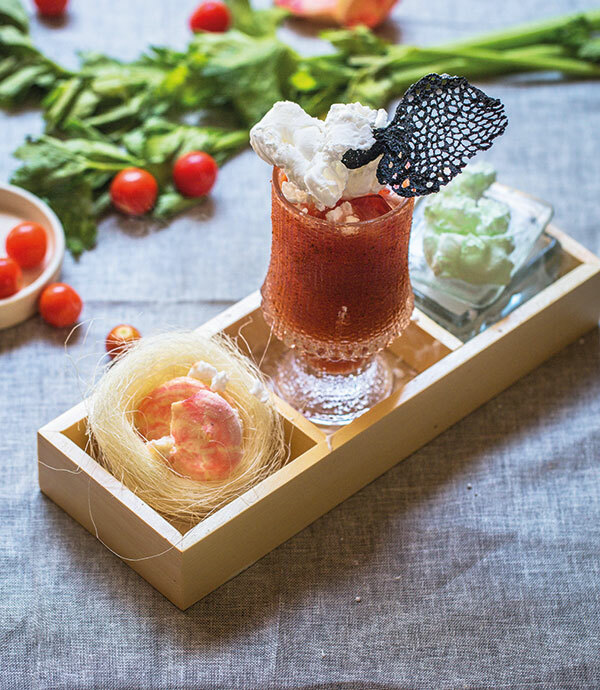 The food is an amalgam of hand-picked delicacies from around the world, each with its own palate-pleasing modern twist, while bartenders here are called ‘liquid chefs’ — a fitting term considering the innovation and skill they bring to the table. Their comprehensive range of intricate concoctions makes up a curated cocktail tasting menu which will have you returning time and again. If that isn’t enough, guests will most certainly be wowed by the largest spirit library in the country — with 150 selections of whiskey and an extensive selection of gin, vodka and craft beer. Must-try offerings here include the three-course deconstructed Bloody Mary, the 18-hour cooked lamb shanks served with blue cheese and black truffle polenta, red wine jus and potato bread, and the homemade churros served with a honey and goat’s cheese mousse. Despite being one of many outlets recently opened across the city, this one in Andheri is far from being just another Fatty Bao. With it, Chef Manu Chandra urges customers to get adventurous by introducing Izakaya-style dining, popular in Japanese gastrobars, which focuses on large groups in an intimate setting. Smaller portions offer the opportunity to taste a wide selection of dishes and varied seating options allow one to be as private or as social as you feel at the moment. Lots of warm wood, mirrors, origami and fantastic lighting together create a cosy atmosphere, as does the service. The bar offers a range of pre-bottled signature cocktails that are chilled and ready to consume as soon as you walk in. 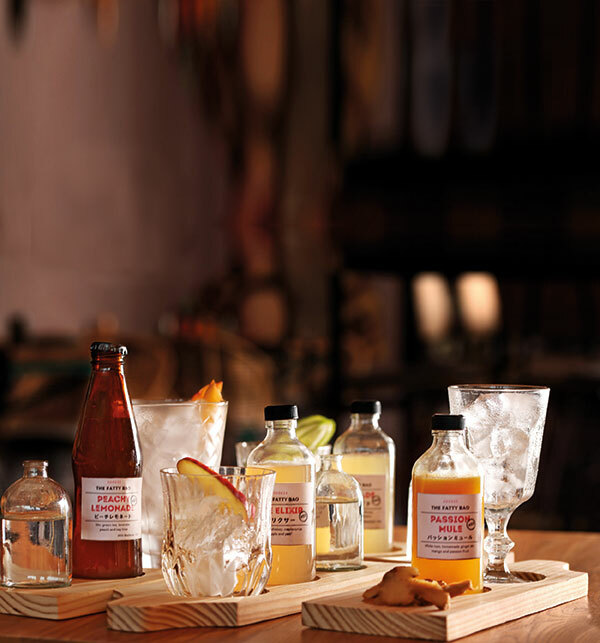 The glass bottles are served on a wooden slab and are even offered in party packs that can be purchased to take home! Try the Passion Mule — a blend of white rum and passion fruit served with ginger on the side — followed by the chilli crab and prawn bao, fried tofu, a bowl of heart ramen and, of course, the magnificently light and luscious Japanese cheesecake. Armed with recipes that have been passed down through generations, Jaideep Singh Bika, the owner of Talaibagh Palace in Amer, Jaipur, along with his son Nidhishwar Bika brings back the splendour of palatial dining at this swanky new address in Mumbai. A combination of royal colours like gold and turquoise complement an urban space that is dotted with traditional design elements like carvings and grand mirrors. The food menu features ancestral spices and techniques in dishes like kheema baati and mewadi murg alongside crowd pleasers like wild mushroom risotto with grated parmesan and truffle oil. 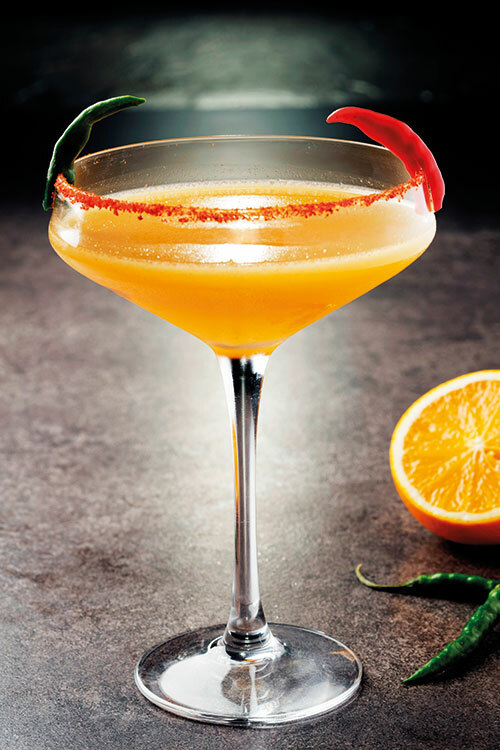 What we love the most, however, are the funky fusion drinks on the bar menu curated by award-winning mixologist Shatbhi Basu. Pair the delicious lal maas with the royal kesar kasturi old fashioned that has saffron-infused bourbon, cloves, orange, thyme and musk, and the beet galouti with the devilled margarita — cold orange marmalade and tequila with a spicy red pepper hit. Finish the meal with one of the best gajar ka halwa preparations in the city — you can thank us later. Go to this sprawling lounge bar and club, which is supposed to be the largest in Mumbai, for its great vibes and inimitable culinary offerings that are served until the wee hours of the morning. The brainchild of Alok Doshi, Darshik Desai and Jakin Desai, the Andheri property has two sections that are spread across 11,000 square feet. The dining area is around 8,400 square feet in size and is characterised by wood, greenery, a live kitchen, cabanas, pops of yellow and blue, and a 36-foot-long bar. The approximately 3,000 square-foot enclosed club features raw materials like brick, stone and iron, bathed in LED lights. 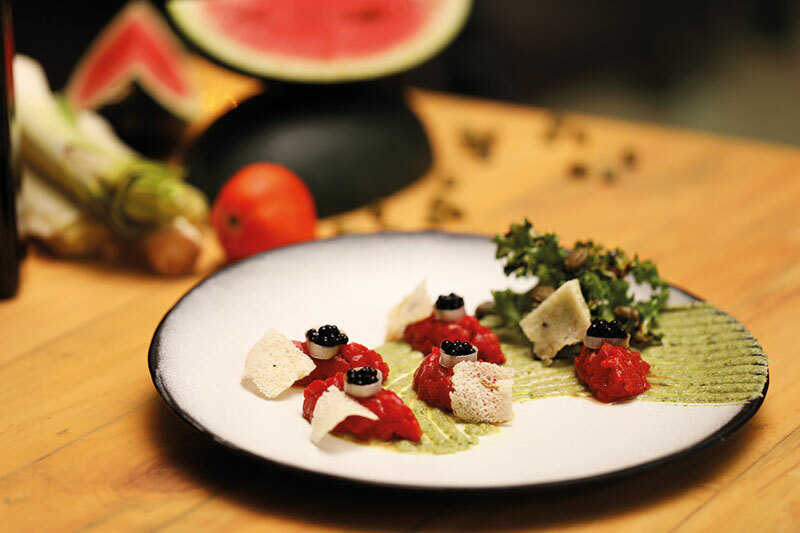 Enjoy a leisurely dinner under one of the white cabanas, starting with the watermelon tartare and sambal fish rolls. The blackened chicken with corn espuma, onion sauce and Spanish rice is a treat, especially with drinks like the fudge colada and saffron sour on offer alongside local beers. And, before you head to the club, be sure to sweeten the deal with the Kube caramel — a scrumptious combination of pate sucree, salted caramel ganache and peanuts.